In Mr. Decohen’s case, the consumer victory is grounded in the fact that the loan was assigned to a national bank. Had the loan (with the really bad language) been kept by the lender, the result may have been different. The lesson for Maryland consumers who lease a vehicle is clear–if you are going to rely on a debt cancellation agreement, you should carefully read the contract and make sure that, under any scenario, you will not have to pay more than the insurance company pays you if the car is totaled. 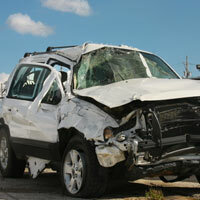 It might be better to simply get GAP insurance from your insurance agent. If you have questions, contact us.